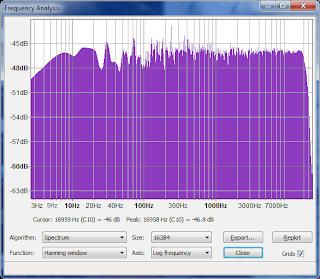 Update 23/03/12: I remeasured again with a 16Ω load @ -22.7dB into a 16Ω load and got 108Ω. 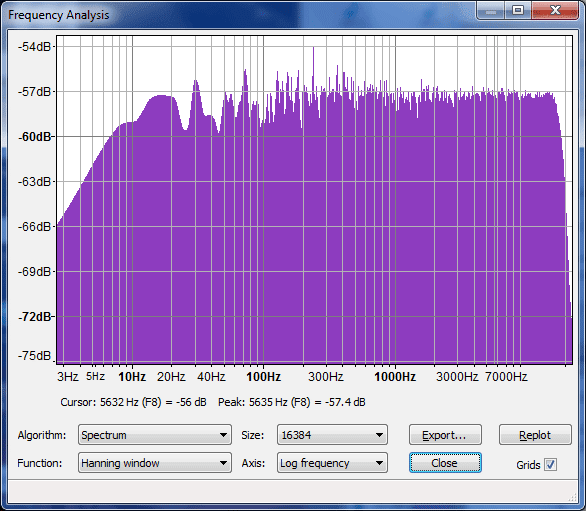 I will try to remeasure when I get another 33Ω load working, but I'm expecting both figures to be correct. I'll post the possible explanation once I confirmed the numbers. Well I needed to find this, so might as well give it its own post so people can find it on Google. So I measured this guy, -11.1 to -11.2dB with a 33ohm resistor load. Well that's the problem with my current measurement method and the use of a logarithmic scale. The output impedance is in the range of ~86Ω, and highly resistive in nature, at least that's what the FFTs say. 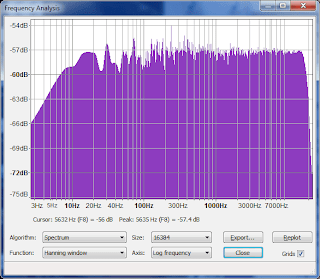 Well you can see that the frequency-dependent portion starts at below 20Hz. Hmm why 86Ω? 82Ω resistor + 4Ω from everything else? Only by looking at the card can I know for sure, and I don't feel like doing that.